The Planning schedule is only available for vintrace Enterprise subscription. For more information on the Planning schedule please click here. 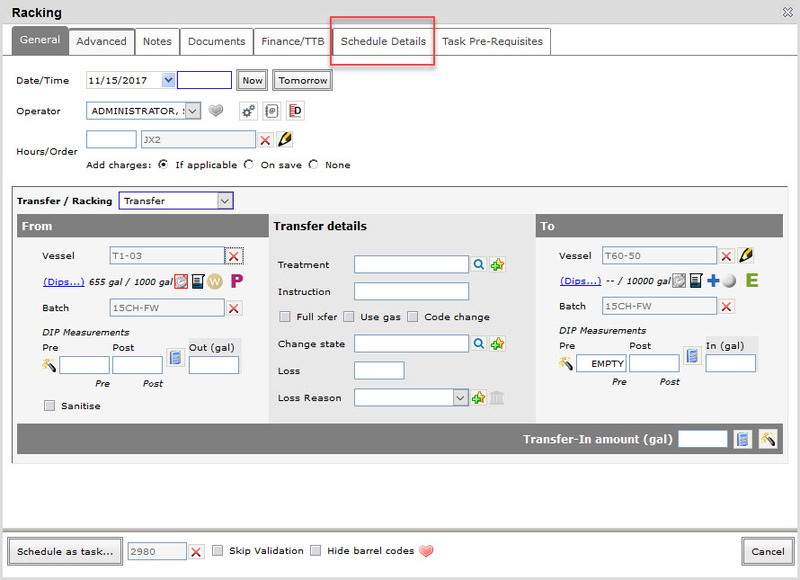 In the schedule details of the destination vessels in your work order, you have the option to swap the vessels while viewing the equipment schedule. Let’s take for example you already have a work order for a transfer and the destination vessel entered in the work order is “T60-05”. Click on the Schedule Details tab. 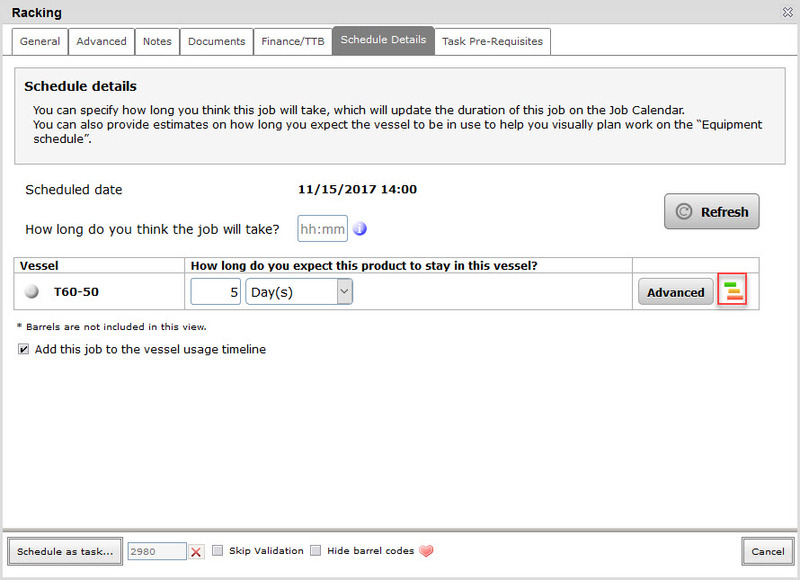 In the Schedule details tab, click on the equipment schedule icon for the vessel. Click on Use button on the vessel you want to use as the new destination vessel in the job. In the example below, we clicked on the Use button of the vessel “T60-60”. In Schedule details screen, the vessel is updated to “T60-60”. In the General tab, the destination vessel is also replaced with vessel “T60-60”. Click on Add to work order button to save the work order.